I’m reading at Lady Jane’s Salon on January 6th! If you can get yourself to Houston Street in NYC at 7pm, you should come! I’ll be reading from The Stars that Tremble. Last week, I signed a contract for the sequel to The Stars that Tremble. It’ll be out late spring 2014. 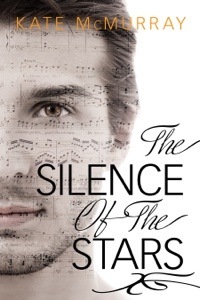 It’s called The Silence of the Stars and I pretty much put Sandy through the emotional ringer. I put up an unofficial blurb on the Upcoming page. I just booked my hotel room for Liberty States (finally) and got my roommate situation sorted out for RT, so conventions are happening. 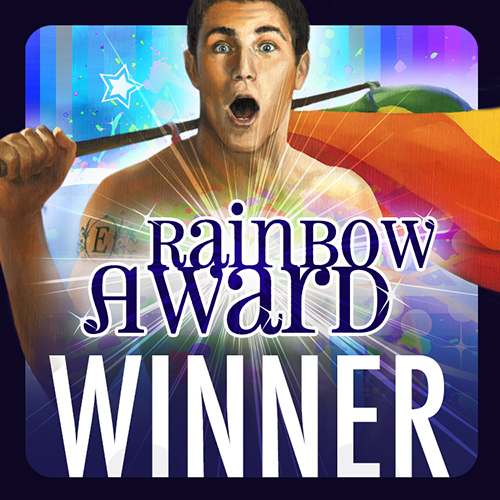 And I’m gearing up to take on the presidency of Rainbow Romance Writers on January 1st. In the meantime, I spent December writing a very silly holiday novella that may be out next December? I always hate to predict these things before the ink is dry on the contract, especially for something like this that wasn’t in my schedule. I like this story, but it’s over-the-top happy holiday fluff, basically. Sometimes you need that, though. Warm wishes to you and yours! Here’s to a stellar 2014! Posman Books Grand Central December 11! I’ll be signing copies of The Stars that Tremble at Posman Books in Grand Central in New York City on Wednesday, December 11 at 5:30pm! I’ll be accompanied by Sara Humphreys and Damon Suede and we’re celebrating romance in all of its flavors. More details here. I can say, as someone who has been to every GRL, that each one has kind of a different vibe. For me, the six days I spent in Atlanta were busy and intense but also really wonderful and surprising and inspiring. This year, I got involved behind the scenes to help run the first ever Writers Workshop. 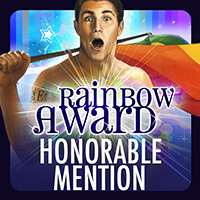 The Workshop was run by Rainbow Romance Writers, for which I am the current president-elect, and it was intended to bring together writers to help share and foster talent. The whole event was a phenomenal success. It went more smoothly than I ever thought possible and we got nothing but positive feedback. Participants seemed to enjoy the classes—even my workshop on setting, although I felt like I got off to a slow start—and the pitch appointments ended up being a great surprise, with many writers doing their first ever pitches. I know some editors asked for partials and full manuscripts, so maybe the next big success will come of it. I’ve already started talking to the GRL organizers about bringing it back next year, so stay tuned! Somehow in all this, the Scarf Dance meme was created. Well, Damon Suede told a room full of people that I would be performing a scarf dance at the post-Workshop cocktail party, and people might have been disappointed that I just gave a short speech, but I did wave my arms a bit, and then Damon spent the rest of the week yelling “scarf dance!” at me. Thursday morning, I went to the supporting author signing. I grabbed the sampler of stories by the supporting authors and carried it around to get signed by everyone. Putting that book together was a fantastic idea and gave me a good excuse to talk to all the authors there. I can’t wait to flip through it and read. Thursday night was the neon-themed Juke Joint party, a blast as always. Friday afternoon was the Fun Fair, including Scrapbooking with the Rainbow Romance Writers, which seemed to be a big hit. After doing all the prep work for that, I could go a while without seeing another glue stick, but we’re already talking about doing it again next year and extending the event to 2 hours instead of just 1 so readers have time to hit up every author. At Dine with an Author, I wound up at a table tucked in the corner with Mr. Suede, but we had a fun little bunch of people. This was followed up by the Dreamspinner cocktail party, which was super classy! I really enjoyed seeing everyone all dressed up. Saturday afternoon was the big book signing. Three hours is a lot and I had a terrible headache through most of it—not to be whiney—but it was great to see fans and talk to people I hadn’t been able to talk to up to that point in the convention. There was brunch Sunday. I was busy trying to figure out how to ship leftover scrapbooking stuff and missed the photo booth, something I regret in retrospect. Then I flew home. I worked yesterday, which wasn’t as bad as I expected, but today I am tiiiired. Well, not quite. But you CAN meet me at the Dreamspinner Goodreads group tomorrow afternoon (10/5) during my snazzy Meet the Author event. There will be excerpts and prizes and things, so drop in. We shall discuss The Stars that Tremble and why opera is pretty cool and maybe I’ll post photos of Swag City, which is what my dining room has become as I get ready for GayRomLit. Go here from 12–3pm EST. The Stars that Tremble is now available just about everywhere in ebook and paperback. Go forth and read! More about the book, including an excerpt and the trailer. Opera plays a huge role in The Stars that Tremble—the title comes from a line in a Puccini opera—so I thought I’d provide a little background in the event you are not an opera fan. You’d be forgiven. My mother, a classically trained singer, was constantly trying to get us kids to listen to opera when I was growing up. I resisted. It was foreign-sounding and boring, I thought. Then, when I was in high school, I went to a performance of Puccini’s Turandot and suddenly I got it. My mom joined an opera company at the same time, so I went to all of her shows and that was the gateway drug, I suppose. So here, I’ll show you a few of the key arias from The Stars that Tremble. Maybe you’ll still hate opera, or maybe I’ll convert you. Giovanni Boca was once a great opera singer. His best-known performance was as Calaf in Turandot. It’s kind of a weird opera; the plot is complicated and stops making sense if you think about it too long. But Puccini’s music is brilliant. The third act opens with “Nessun Dorma,” an aria sung by Calaf in which he basically declares victory because he is confident he will win the Rumplestiltskin-esque challenge he has issued her (and thus her heart—I told you it doesn’t make any sense). The first line (translated) is: “None shall sleep, not even you, O Princess, who sit in your cold bedroom watching the stars that tremble with love and hope.” It’s probably one of the best known opera arias, so maybe it’s an obvious choice, but it still gives me goosebumps every time I hear it. It’s just a beautiful piece of music. There’s a scene in the novel in which Gio teaches his class about coloratura opera. He plays “Der Holle Rache” from Mozart’s The Magic Flute, also known as the Queen of the Night’s aria. This is the part Emma McPhee most wants to play. It’s an incredibly difficult piece to sing. My mom had a tape of Mozart opera highlights that she kept in her car when I was growing up, so this was a piece of music I heard all the time; we called it “the crazy aria” for a long time. The Stars that Tremble is out September 30. See the trailer and read an excerpt. 1. 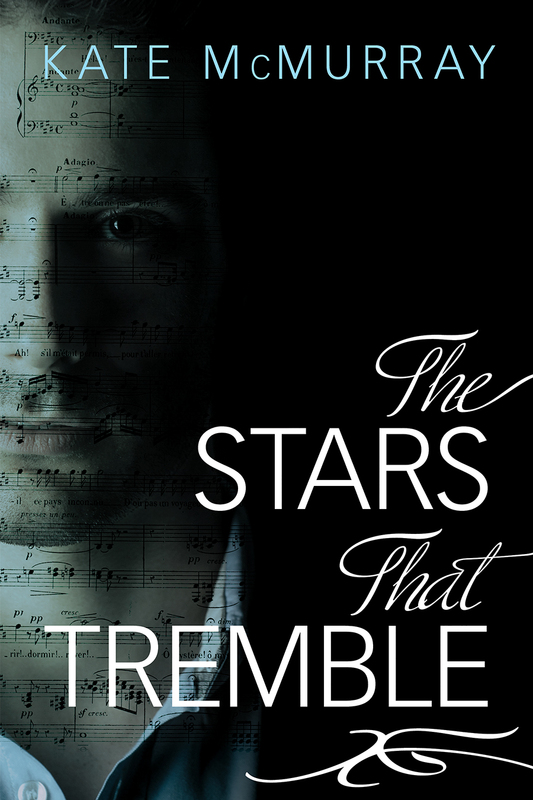 If you missed the Twitter announcement, The Stars that Tremble is now available for pre-order! The book is out 9/30. 4. I’m reading mostly nonfiction lately, too. Maybe I really do miss school! Right now, I’m reading a book about NYC in the bad old days of the 1960s. It’s giving me lots of story ideas, but I’m nervous about writing about a period of time that people still living remember but about which I have no first-hand knowledge. I’d hate to get something egregiously wrong. I’m also about halfway through a book on prostitution in New York in the 19th Century. So much sin in the Big Apple! 5. Some of my GRL swag got delivered this week. So far, I have bookmarks, pin-back buttons, and a big sign for my signing table. I’m trying to come up with an awesome one-of-a-kind, everybody-will-want swag item, but I’m not thinking up anything (or at least, I haven’t come up with anything that won’t blow my budget). Swag is so hard. I don’t want to spend money on something that will swiftly end up in the trash. What will people actually keep?